I have to be honest and say that it is very challenging for me to be objective on this one. Oh, wait a minute! Sometimes I forget where I'm writing. Truth is - in this format, regardless of what my journalistic experiences have embedded within me, I have the freedom to voice my honest opinion. I do SO like that. This is a situation where my opinion doesn't fall in the minority either. Though there are plenty of Starbucks fans out there, old-fashioned Disney loyalists aren't a group to underestimate! Take away our Penny Arcade, and we get angry. Take away our Main Street Bakery, and the gloves come off! Okay, I know they didn't completely take it away, but to many of us, they may as well have! If you're a new visitor to the parks, you may have no idea what I'm talking about. The Main Street Bakery does still exist on Main Street, in the Magic Kingdom - well, technically anyway. The real bakery was a victim of the corporate takeover that has spread to the hallowed halls of Mousedom, (Yes, I know that Disney is a big corporation as well, but at least it kept the other dredge out. McDonald's didn't fare well. What's next - a WalMart?) 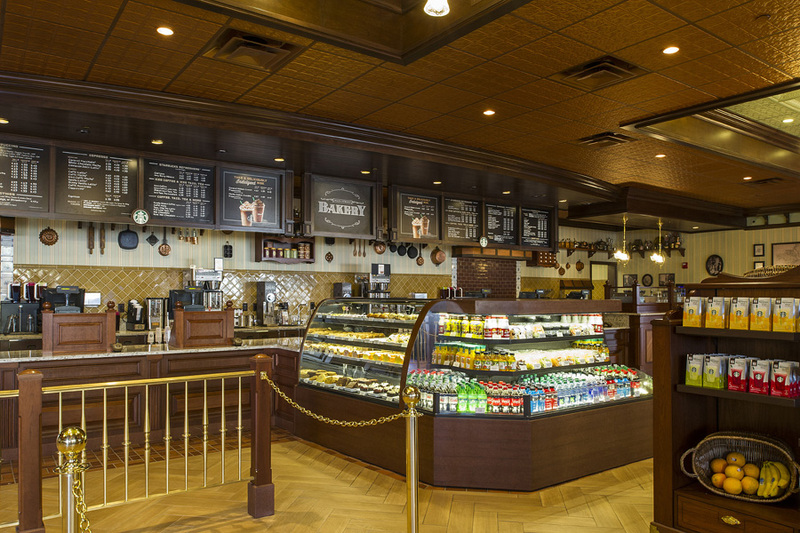 The Main Street Bakery became the first Starbucks location within Walt Disney World on June 18, 2013, following a six month makeover of the original bakery. Of course, it is easier for me to remain negative on this transition. I'm not a coffee drinker - AT ALL! However, I will say that I have heard horrid things, from those who do appreciate the beverage. I just can't respect the change for this accommodation - that is all. The current version of the Main Street Bakery serves snacks and beverages. Reservations are not accepted, but they do participate in the Disney Dining Plan. Standing room only inside since the renovation; a few areas for standing or sitting along Main Street. The original Main Street Bakery was known for amazing, one-of-a-kind treats that were practically worth the visit to the Magic Kingdom themselves! Unfortunately, the majority of these delicious classics have been replaced by signature Starbucks fare. While these may have a place in the world, I just don't feel that place is Main Street USA. Theming has remained Victorian, with darker woods making an appearance since the refurb, along with the Starbucks logo signage. The brass light fixtures remain and wrought iron chairs still adorn the interior (they're just shoved against the walls). It seems that the idea here now is - line 'em up and get 'em out. There are a few breakfast sandwiches to choose from for under $5, as well as grab-and-go snacks and pastries. Check the small refrigerated enclosure that still house fresh Disney goodies to see what's available, but you can usually count on finding a cupcake or two in there that are still up to par. Smoothies, espressos, coffees, teas, etc. are standard for the Starbucks line. Prices for these beverages are reported to be nearly even with other Starbucks locations. Personally, I no longer feel the need to make the bakery a priority stop. The following are two WONDERFUL videos, both by YouTube user PopSong1. Rather than go nuts with the photos this time around, let's enjoy this before and after video tour of the Main Street Bakery. Which do you prefer?